I have wanted to post for quite some time but haven’t been able to muster the courage…. This winter, I have had to face the fact that my lungs can no longer tolerate the dust and winter cold that comes with maintaining a flock in Minnesota. When we moved to the farm, I knew that my history of pneumonia and lung issues would most likely have an impact on what I could or could not tolerate. So now, it’s come to that point. This will be our last lambing season and by the end of pasture season (October?) we will have sold MOST of the flock. We will keep a handful of sheep and the llamas. Trophy Husband insists. I’m not so sure because that will place the burden of winter chores upon him, but we have a few thoughts on different ways to feed a small flock so there is less time spent, thereby decreasing exposure to the dust and cold. We will have Finnsheep and a Shetland ewe or two for sale. I want to see what the lamb crop looks like this year before making the final decision. 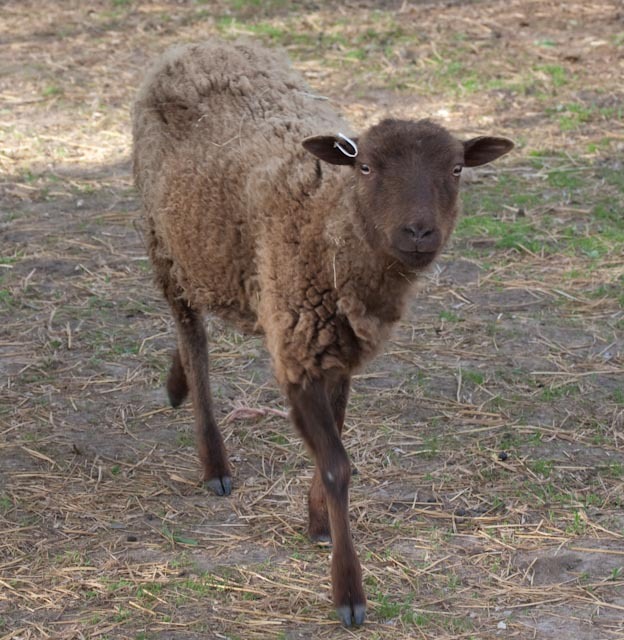 Our lovely gray yearling ram, Stillmeadow Toivo, already has a new home at Little Red Oak Farm with Gail. Our moorit Finn ram, Little Red Oak Eino (three years old) will need to find a new home. I have a moorit Shetland Bonnie who has been exposed to Eino. I would be willing to sell her now. She is almost two years old. This will be her first breeding. We also have three 3/4 Bluefaced Leicester ewe lambs (one black and two white) who are for sale or will be going to the butcher within a few weeks. They are beautiful, sweet girls with lovely fiber. We have a small black, two year old Shetland with lovely Ag gray fiber. She has not been bred. I have not updated the Sale Site yet. If you have an interest in any of our sheep please leave a comment and I will get back to you. I’m Baaack! And I Have Sheep For Sale! Yup, we’re still here on the farm! It’s been awhile since I posted and the Friday Farm Photo has gone by the wayside. 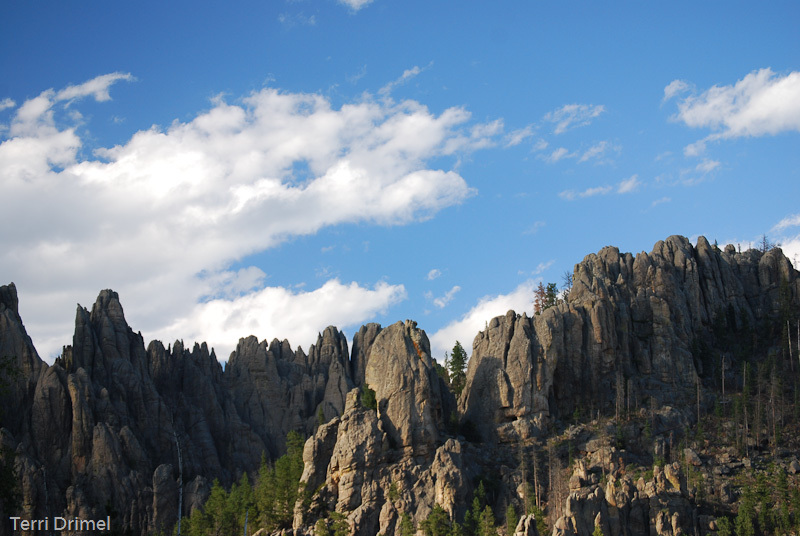 At the beginning of September, we took a much-needed vacation to Wyoming and South Dakota. Thankfully, the weather was perfect and we had a wonderful time! 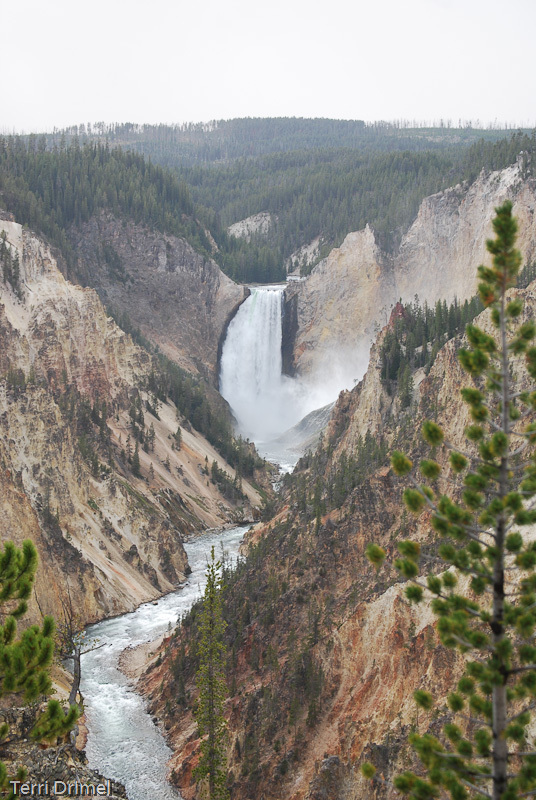 While on vacation, I solidified my desire to do more traveling and camping. Are you reading in between the lines? More time to travel means less animals on the farm. I have figured out my breeding groups for this winter so pretty much all the other sheep will be sold. My focus is still on Finnsheep so I am selling most of the rest of the flock, including Bluefaced Leicester Dougal. Please check out our sales page. There is nothing wrong with any of these sheep – they just need to go to a new home. My flock goal at the start of 2010 was to make the switch to Finnsheep but keep some Mulesheep and Shetlands for a lovely mixed fiber flock. I could breed for purebred Finnsheep but also have some fiber crosses and meat lambs. Sounds like a great plan! Negotiations broke down between the Minnesota Nurse’s Association and the Twin Cities Hospitals. The Union members voted overwhelmingly to strike. I don’t intend to bring the specific issues to this blog as I want to keep the focus on farm, flock, fiber and family. So how does this piece of news relate to the farm? The economic future of the “city job” is uncertain for the next several months. As much as I don’t want to sell many of our lovely ewes, I also can’t justify keeping them when it may be impossible to afford to feed them this winter. 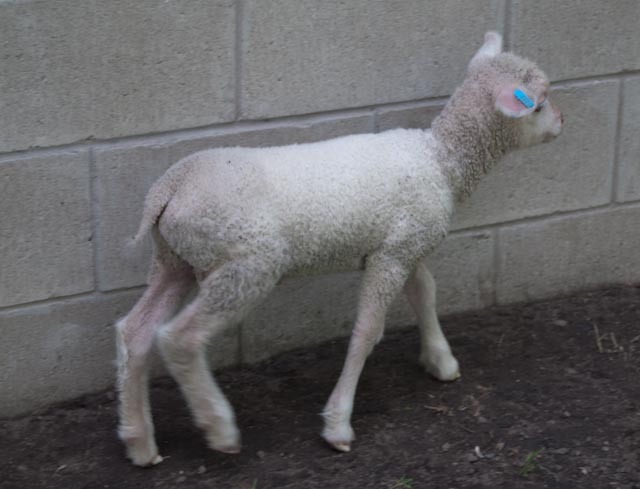 A sweet 3/4 Bluefaced Leicester ewe lamb. Our loss is your gain. I would rather see the ewes go to a good home on new pastures. The reality of farm life is that they will be sold for butcher – but that is not my first preference. The sheep and lambs are listed on our Sales Website; photos are throughout this blog and on the sale pages. We are almost sold out of Shetland ewes but we still have Shetland-BFL Mulesheep ewes, a North Country Cheviot ewe, and a few fiber crosses. Also, we have three lovely 3/4 Bluefaced Leicester ewe lambs. We can put together a fiber flock with one of the two Finnsheep ram lambs or Bluefaced Leicester Dougal. 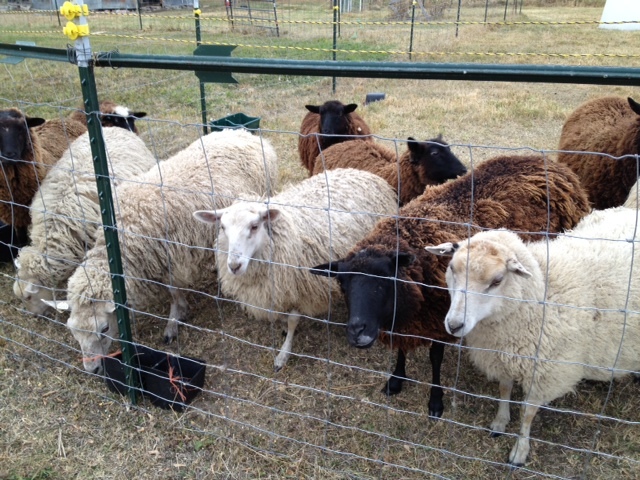 And we have whethered BFL-Shetland Mulesheep boys with beautiful fleece! In the last three weeks, about half of our sale sheep have gone to good homes! We have reduced the price on several of our ewes. 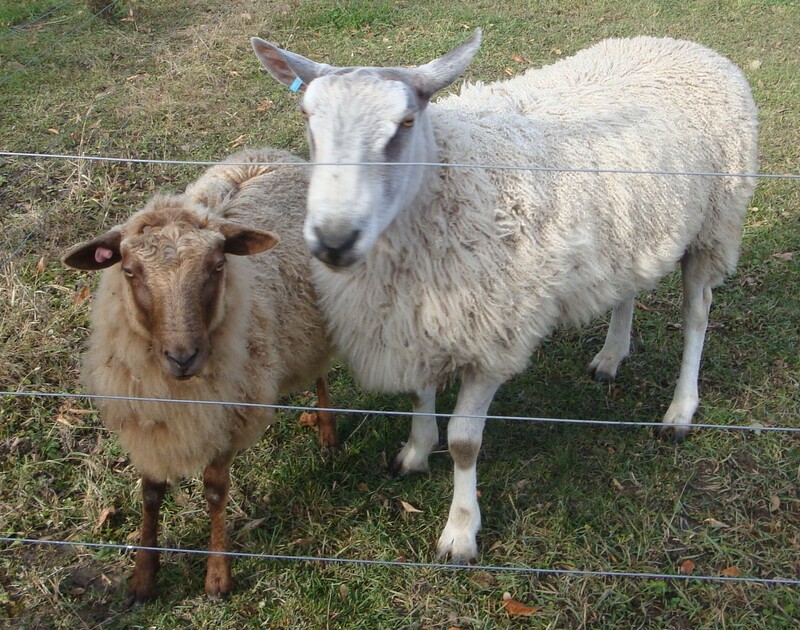 Please click on the Ewe Sales Page to see what we have for sale. Shetland yearling ewe Bonnie has a lovely, moorit single coated fleece. 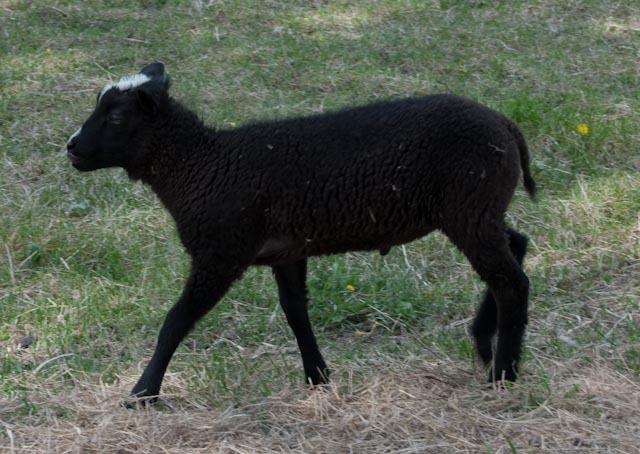 We still have three Finn ram lambs available, two white and one black, with spotting and the rare brown color genetics. Finnsheep are a gentle and easily managed breed. 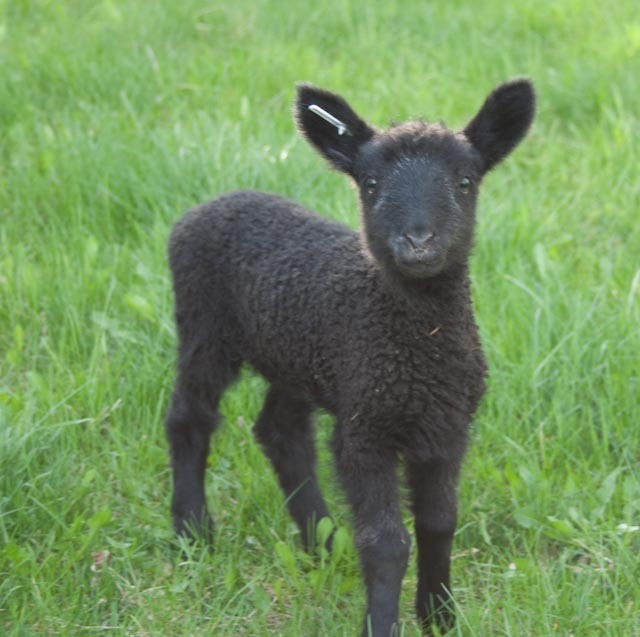 By adding a Finn ram to your flock, you will see an increase in lambing rate as well as adding qualities of luster and crimp to your flock’s wool! Also available, with regrets, is our Bluefaced Leicester ram Dougal. He has sired many lambs for us over the last few years. Very easy to handle, he is a gentle ram with excellent, shiny, purly BFL fiber. Please click on our Sales Pages to see what sheep are still available. If you don’t like our prices, please make an offer. All offers will be considered. Why Do We Have Sheep For Sale? Huh?! Quints? Now I became nervous! Having never been a shepherd, or ever lived on a farm, I couldn’t wrap my mind around successfully handling multiple births. So the breed moved down the list; Shetlands and Mulesheep moved to the top. We bought a small flock of Shetlands ewes and whethers. That winter we added a ram and began our journey into breeding sheep. Everything I had read about Shetlands and learned from Shetland breeders was true. They are easy keepers, lamb easily, are excellent mothers, do well on rough pasture and browse, and due to their small size they are easy for a newbie shepherd to handle. And the lambs! They are so cute! A Bluefaced Leicester ram arrived next as we wanted to breed Mulesheep. We are fortunate to have gained some clients who enjoy grass-fed lamb and we wanted to to raise a number of market lambs. Beechtree Dougal came to our farm, purchased from Becky Utecht of River Oaks Farm. Dougal is our gentle giant; he is a white BFL who carries color. He has passed on his lustrous, purly locks to his progeny over the last two years. He has sired five lovely Mulesheep ewes, four 3/4 BFL ewes and a number of rams – all with fabulous white or natural colored fleece. With Dougal, I discovered that I really liked having a polled ram. As Finnsheep rams are polled, we will now have polled rams. Dougal is now For Sale. 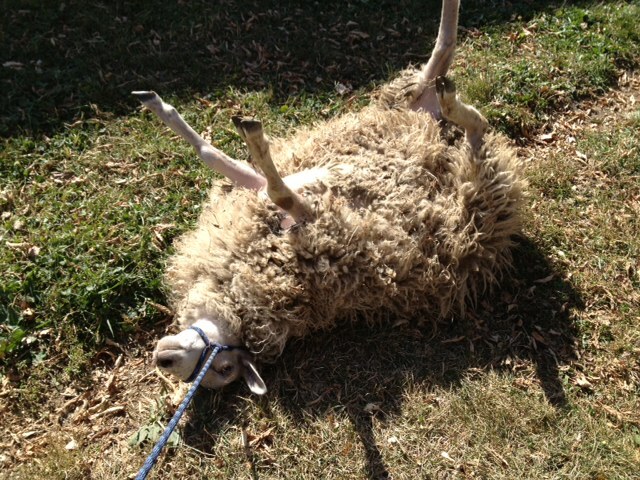 Last year I bought a Finn fleece which came from Osmo, a brown Finn ram owned by Gail VonBargen of Little Red Oak Farm. 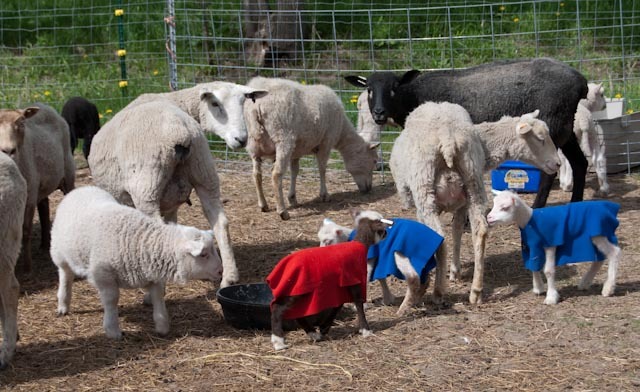 I loved the fleece and revisited the original idea of raising Finns on our farm. We purchased Eino (sired by Osmo) in July. He is a very mellow ram, like BFL Dougal. 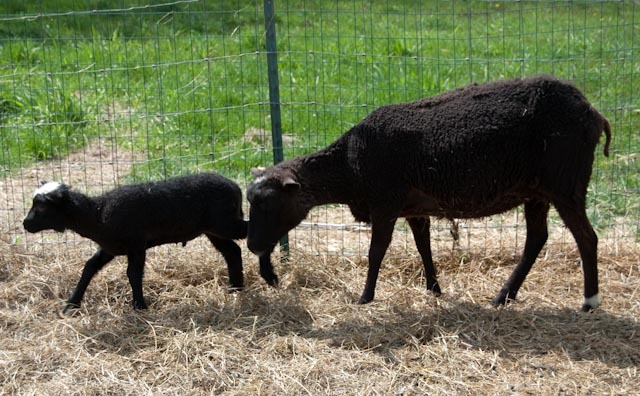 Last fall we were able to buy two Finn ewe lambs, a black and white, from Tim Reese at Gale Woods Farm in Minnestrista. His Finn stock has its roots in Wee Croft genetics – very good genetics indeed. The two ewes were in a group of sheep which were going to the sale barn. Gail VonB. actually picked them out for me as she was at the farm looking at sheep and we live several hours away. Gail selected two nice sheep for us. 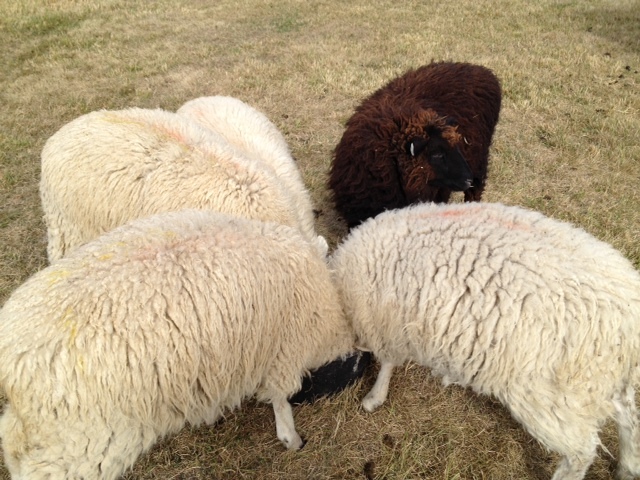 Emmi, the black ewe, was sheared, and Elina, the white ewe, was still in full fleece. I brought them home and they were bred to Little Red Oak Eino for April lambs. 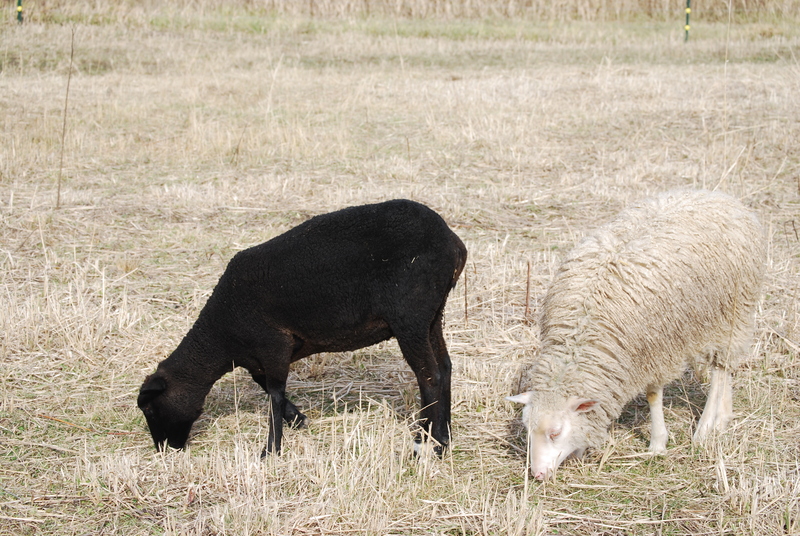 This spring, we had four lambs from the two ewes; they all carry brown which is a rare color in Finns. Emmi and Elina were very easy to work with in the jug and are steady girls when I approach them outside. So now we have about 35 sheep – which is more than we want to manage. The Shetlands and Mules don’t really need any special management, just fresh water, minerals and good pasture; but the Finns and the 3/4 BFL ewes need some extra daily grain in their first year of life. 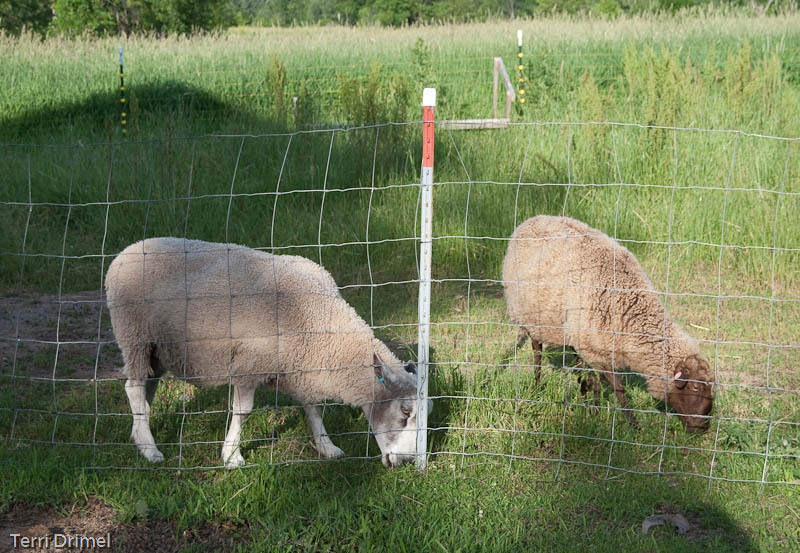 The management part is the amount of time and effort required on our farm to support the flock on “good pasture.” We use a combination of field fence and electric with electronet fencing used to section of pastures for rotational grazing. 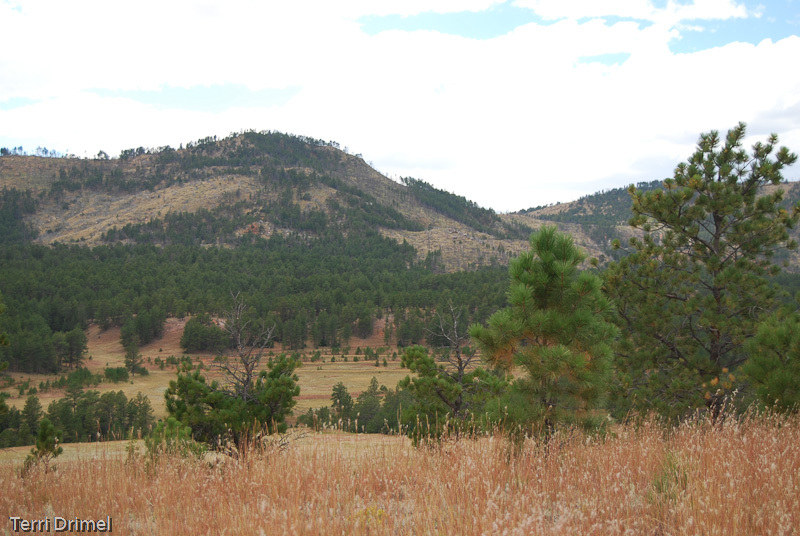 Eight llamas and 35 sheep are too much pressure for our pastures and we won’t be able to house that many come winter. So our flock has grown! This is not a surprise, but now that we have more experience, we have a better idea of the numbers we want to keep. My plan is to have 5-6 Finnsheep ewes and the 3/4 BFL ewe lambs, along with a few whethers and a Finn ram or two. That means we need to sell Sheep. Please check out our sale pages by clicking on the tabs at the top of the blog. Leave a comment or email with any questions. Thank you for looking!